Here the second painting of a windmill scene set in Westzaan, a town in the Dutch province of North Holland in the municipality of Zaanstad. This time the scene is set in the early morning just before full light. More paintings of windmills will follow at a later date. 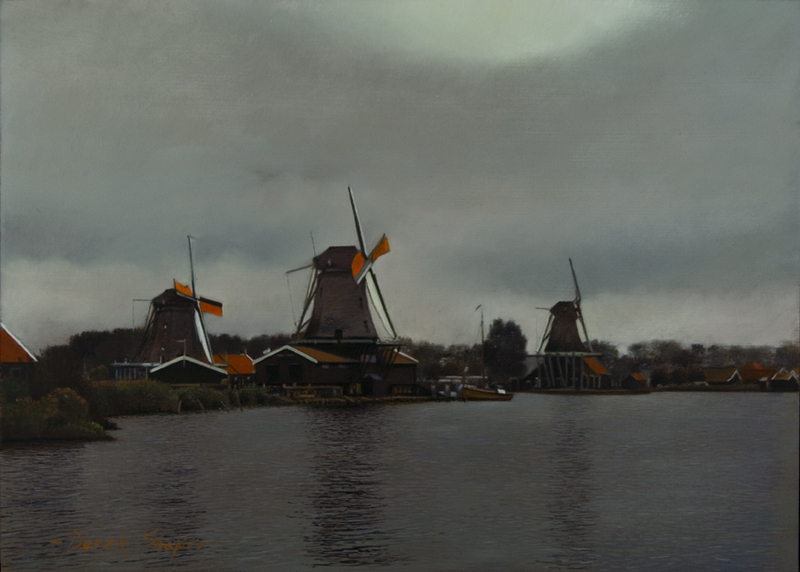 This painting set in late September on an overcast drizzly day is of some of the windmills situated in Westzaan, a town in the Dutch province of North Holland in the municipality of Zaanstad, which is about 8 miles northeast of Haarlem. Sometime ago an exhibition was held from October to January in a gallery near to Amsterdam where I was invited to show. The whole of the exhibition was given over to wildlife paintings where there were about 300 paintings on show. 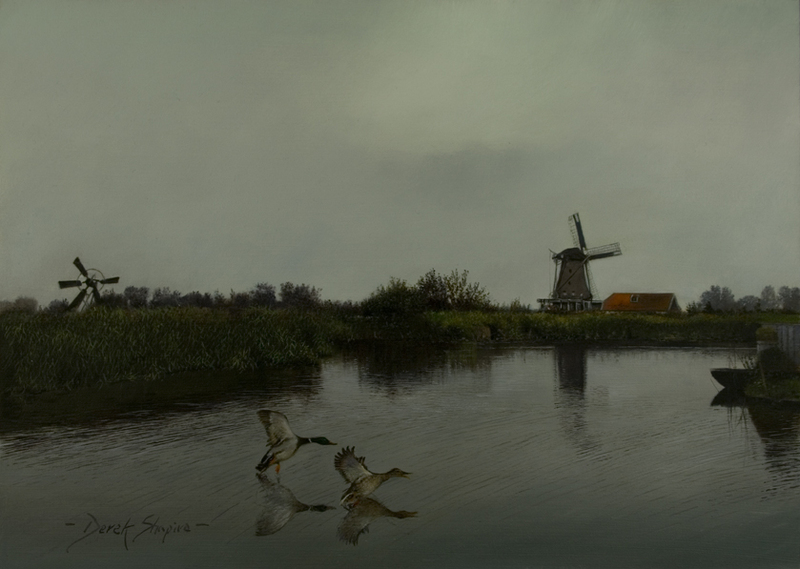 Windmills in the Netherlands, of which they are plenty, are the most obvious things to paint and my time in Westzaan was spent visiting and recording some of these sights. I’m partway through another painting of a windmill which I will be posting shortly.